NOAA’s GOES satellite image on Sept. 8, 2017. It shows Hurricane Irma (Caribbean Sea), Tropical Storm Jose (Atlantic Ocean), and Tropical Storm Katia (Gulf of Mexico). Hurricane Harvey devastated Texas, and hurricane Irma is currently pummeling Florida. In Texas, the death toll is at least 70, and so far, Irma has killed five people. In addition, two other tropical storms are brewing, one in the Atlantic ocean and one in the Gulf of Mexico. Reading social media and the less-responsible news outlets, you would think that this kind of weather is unprecedented. You would also think that it is all the result of carbon dioxide emissions causing global warming, aka “climate change.” While the human devastation is real and cannot be ignored, science tells us that these events are not unusual, and they are probably not related to human activity in any way. Let’s start with hurricane Irma. Unlike you may have been told, it is not the most powerful hurricane that has been observed. In fact, that distinction belongs to hurricanes Patricia (2015) and Nancy (1961), which each occurred in the Pacific ocean. Their winds of 215 miles per hour are the highest ever recorded. Of course, Pacific hurricanes do tend to be pretty strong, but Irma isn’t even the most powerful Atlantic hurricane. Allen in 1980 had the highest wind speeds of any Atlantic hurricane (190 mph). Currently, Irma (with wind speeds of 185 mph) is tied for second, along with Wilma in 2005, Gilbert in 1988, and the Labor Day Hurricane of 1935. But what about three hurricanes in the Atlantic at one time. Surely that’s unprecedented! Nope. 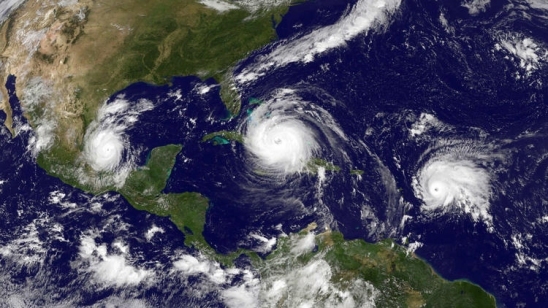 In 1998, there were four Atlantic hurricanes at once. Indeed, three hurricanes at once is something that happens roughly every 10 years. Why haven’t you heard that? One reason is that all three rarely make landfall in populated areas. The other reason is that it doesn’t help with the “global warming is going to kill us all” narrative. But surely global warming is contributing to these hurricanes in some way. Well, if it is, there is certainly no way you could tell that from the data. 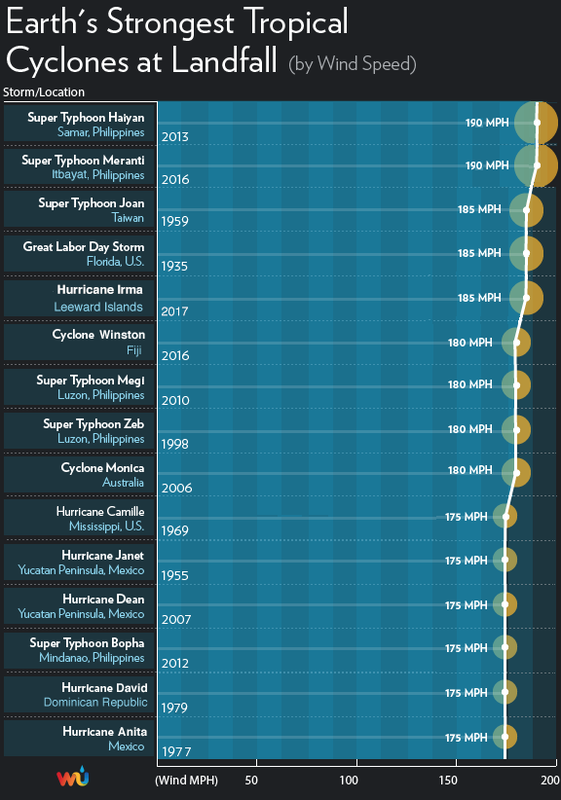 The top data points represent the frequency of all tropical cyclones worldwide since 1972. 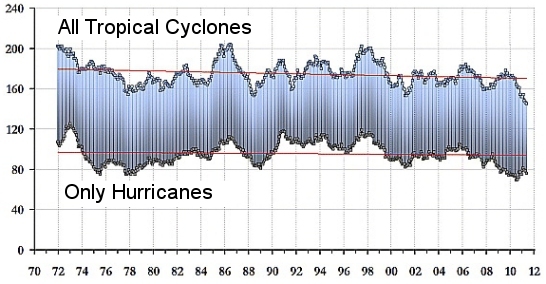 The bottom data points are only for those tropical cyclones that became hurricanes. The red lines are linear fits to the data. Notice that there is no discernible trend. If hurricanes were related to carbon dioxide emissions, you should see some sort of trend in this graph. 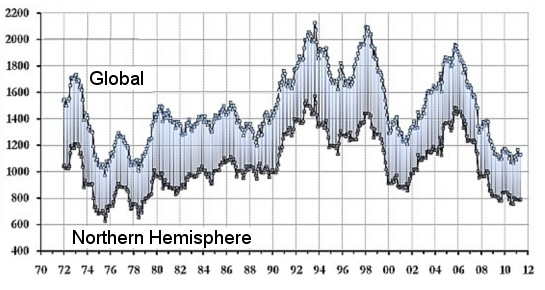 The top data points represent the accumulated energy in all cyclones around the globe, while the bottom data points represent the same quantity for cyclones only in the Northern Hemisphere. If carbon dioxide emissions were making hurricanes more powerful, there should be an upward trend in these graphs. Once again, however, there is no discernible trend. When people try to use the hurricanes that are happening now to support the idea that human beings are causing global warming, they are not only displaying their ignorance about history. They are also displaying their ignorance about science. It doesn’t really take away from your points but I’m confused by your second graph. Should the labels be flipped? Seems odd that the “accumulated energy” of cyclones in the northern hemisphere would be more than all global cyclones(which would presumably include cyclones in the northern hemisphere). You are correct, DW. I had them flipped. I fixed that. Thanks! I read this then afterwards read another science blog saying now is the time to politicize Irma. The difference between the two articles is you have data and the other does not. Thank you so much, your post was really helpful. Thanks for this resource. It’s fascinating to me how different analyses can produce different conclusions. Most of the strongest landfalls in history have come in the last decade. Hayian set a record for 24 hours of 185mph+ winds in 2013 and then Irma smashed it with 37 hours in 2017. And yet Irma’s overall ACE is likely to fall short of Ivan’s 2004 or the Atlantic record standing all the way since 1899! But – while I’d love to see updated graphs that include the years since 2012 – some of those specific modern records don’t seem to be indicative of broader trends. Thanks for adding that info! To me, landfalls aren’t as relevant to climate, since landfalls are strongly based on the trajectory of the hurricane. ACE and sea wind speeds are more indicative of the climatic factors, especially the ones related to energy. Btw, I stumbled on a page with charts updated through 2017. The general trend (or lack of it) seems unaffected. Thanks for the link. It is nice to see the latest data! The air pressure inside a cyclone or in your case anti-cyclones gives a measure of the expected wind velocities generated. I was involved in a discussion some time ago with an anthropogenic climate change believer who was making similar statements about the unprecedented size of cyclones here in Australia. The records from the late 1800’s indicated that there have been quite a number of cyclones whose pressures ranged from around 950 to 970 mbars from 1875 to the 1930’s. Those times did not have the population centres or information services that exist today, so the impact of the sizes of these cyclones was not propagated as it is today. I have been through smallish cyclones around 980 to 990 mbars and that was enough thank you. Many problems that exist with today’s cyclones and anti-cyclones revolve around the lack of building standards for buildings in currently prone areas. An example of this is that my parents home, which has gone through a significant number of cyclones over nearly sixty years, is built to s specific “North Queensland Cyclone Building Standard”. 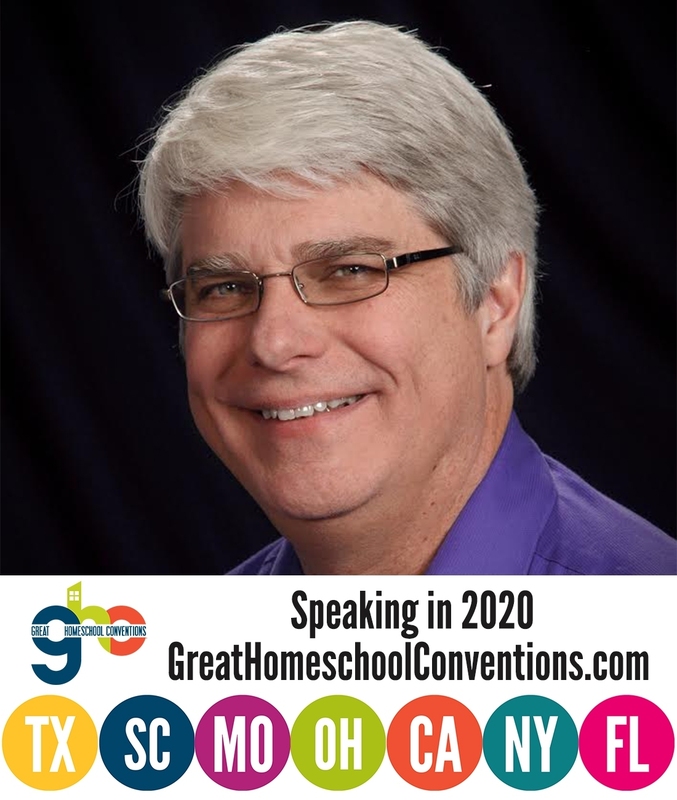 For the last 30 years or so, that specific standard was no longer required for construction. As a result, many of the buildings built in recent decades have failed to stay up when cyclones have hit, whereas older building have had relatively slight damage. I can remember my father telling me years ago, that there were houses being built at the end of our street. My first reaction was to ask who was the “idiot” who approved those buildings. The area was in the midst of a multi-decade drought and the local council had approved construction of buildings in a flood prone area. As a child, we used to swim in that end of the street during summer due to the amount of rain that fell and filled that area every year. A couple of years later we had significant rainfalls that flooded everyone of those house half way up the walls. Much of the problems could have been mitigated if a permanent ban had been in place due the knowledge that the area was flood prone. Much of the damage that has occurred due to these modern storms could have been prevented if the required building codes were in place and the recognition of flood plains not being suitable for specific styles of buildings. People that want to ring the human-caused climate change bell, seem to miss one important detail; the sun. If I’m not mistake, shortly after the total eclipse, our sun had quite of few CMEs. A couple of them weren’t directed towards the earth. The media is just inciting fear. Not too many people will take the time to investigate. I do believe storms may get worse, but its not because of human activity. The earth’s magnetic field is weakening. I know you can get a lot of flack for being a “climate change denier” these days. Thanks for being brave enough to post this. Yes, I do. Of course, I get a lot of flack for being a young-earth creationist, too, so I guess I am used to it. I am honored to be in the company of others like Dr. Dan Shechtman, who was also mistreated by his fellow scientists for following the data.